Sometimes I don’t know what I’m thinking. I rode past this house last weekend and it took me about 1/4 of a mile to decide to swing back to get a better look and take a photo of it. I wonder if it’s always like this or if it is just dressed up for the 4th of July? A big part of me hopes it’s always like that. The world is much more interesting with eccentric people in it. 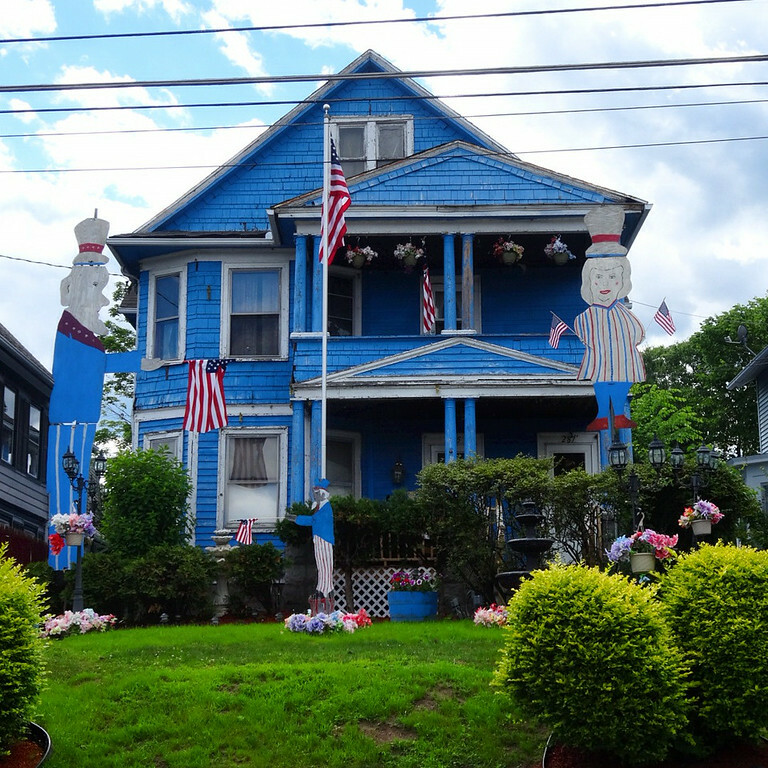 What town in Connecticut is this in? My son lives in Vernon and may be interested to going looking at it. It was on Main St. in Torrington. Just north of the lovely marquee of the Warner Theater. …You Have Some Travel Plans?